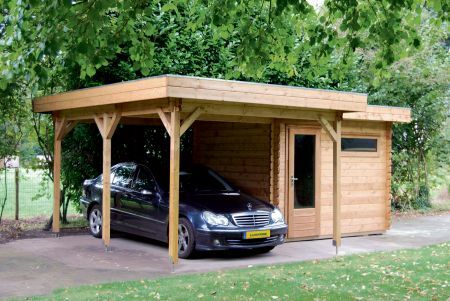 A flat roofed workshop and carport combination. This Building is no longer in the Lugarde standard range but can still be ordered as a bespoke building, it is also available in 68mm Wall Profile. All door and window specifications can be amended to suit your needs. *EPDM is a type of synthetic rubber, perfect for covering all kinds of roof, including flat or small and also pitched and very large roofs. EPDM is used due to its durability and flexibility.